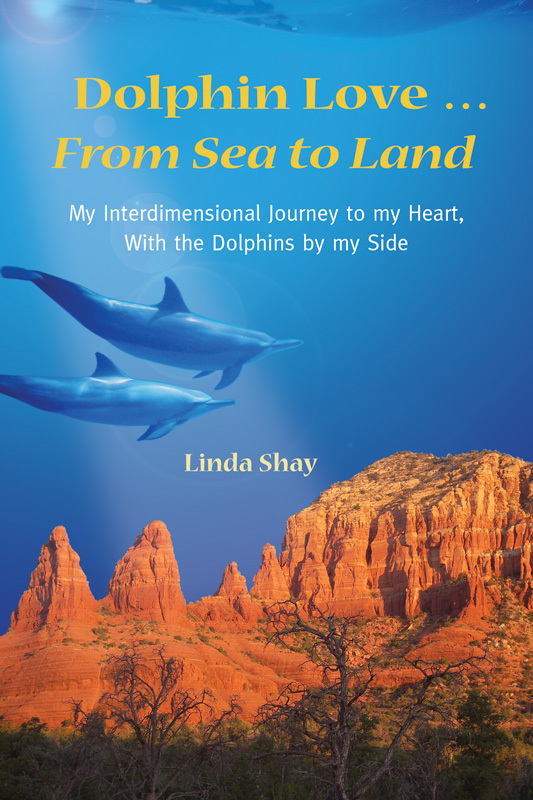 Dolphin Love ... From Sea to Land tells Linda's true story of her 7-year journey with the dolphins and the Dolphin Consciousness. The journey leads her to her spiritual awakening in 2003, and to the birth of a new spiritual path on planet Earth - a path created by, and guided by, the Dolphin Consciousness. Read Dolphin Love and awaken to the healing and transformative gifts these extraordinary beings have for humanity. 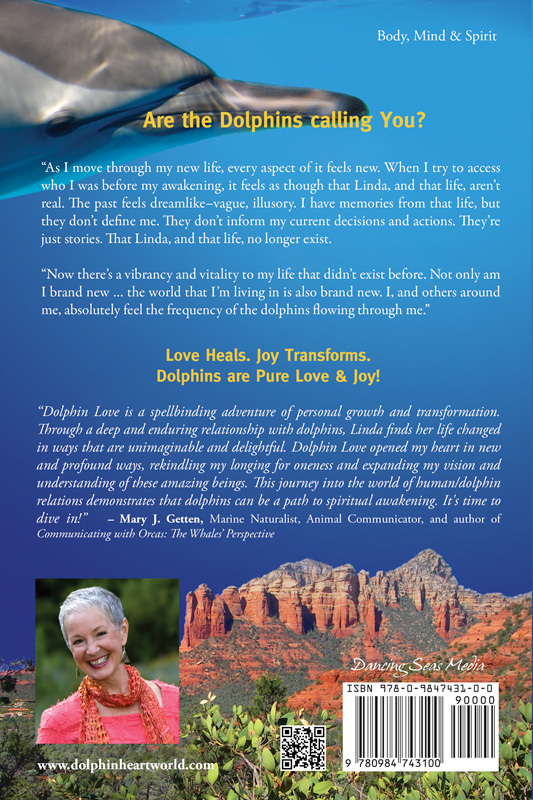 Dolphin Love ... From Sea to Land is a spellbinding adventure of personal growth and transformation. 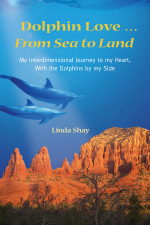 Through a deep and enduring relationship with dolphins, Linda finds her life changed in ways that are unimaginable and delightful. Dolphin Love opened my heart in new and profound ways, rekindling my longing for oneness and expanding my vision and understanding of these amazing beings. Your book has been a precious gift to my heart and whole being – a precious gift to humanity at these times. I could feel the vibrations of dolphin and whale emanating from the book, just as I experienced it with the dolphins years ago. It was as if you wrote the book in dolphin/whale vibrations! The energy of beauty, honesty and gentle humor touched the core of my being. I admit I had to put the book aside to integrate and allow deep pain and grief to be released from my own journey with dolphins. I finished reading your book about an hour ago. The only thing that distressed me about your book was that it ended! I wanted it to go on for another few hundred pages. I was not ready to let it go! It was an enlightening experience reading your book. I laughed and cried together with you reading about Chuckles; my heart broke into pieces reading about Keiko and I felt the deep, incredible, penetrating pain. I related to David's comment about how vital and alive you look by the ocean; which is exactly what my husband tells me when we are on the beach by the ocean; how different, alive, happy and young I look by the ocean. Linda, my dear dear Linda.... today I received your book and wooowww... reading just the first pages I started to cry deep happy tears... tears of love and joy and soulspirit and... I just can't put it down. I feel energy running through my body reading it. And sense so much love for humans... for humanity… for that Great Circle of Life. It’s like my Heart has opened more and more and more... is there more opening possible? Yes!!! oh Yess!! Thankyou thankyou thankyou! - P.K.dL. One minute I am opening your book to read it; the next I am in a different dimension swimming with a pod of Dolphins and having a fantastic time swimming fast and jumping out of the water with the pod. It felt so real and so joyous! The next day while reading your book I experienced a loving energy pouring into my heart centre. Yesterday I picked up your book again and while reading I was taken into a meditative state. I was in the ocean this time diving deep to the ocean floor with other Dolphins. It seems so natural to be swimming in the ocean one minute and coming out of the ocean to find yourself sitting on a chair. It feels normal but sounds crazy. Thank you for your book and sharing your journey.